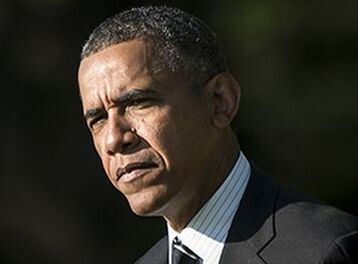 President Obama on Saturday called for “bold steps” to help U.S. workers. “The truth is, it’s not going to be easy to reverse the forces that have conspired – for decades – against working Americans,” Obama said. “But if we take a few bold steps – and if Washington is able to come together with common purpose and common resolve – we’ll get there. Our economy will keep getting stronger and more Americans will be able to join the ranks of the middle class,” he said. Your Donations to Frederick Politics are needed and appreciated - Please click on the Donation Button in right hand margin of page - Thank You! Rep. Mike Fitzpatrick (R-Pa.) cited the healthcare reform law, the fact that the Keystone XL Pipeline hasn't yet been approved and the "threat of higher taxes and the almost-endless stream of red tape" as obstructions in the way of job growth, asking why the president hasn't acted on each one. 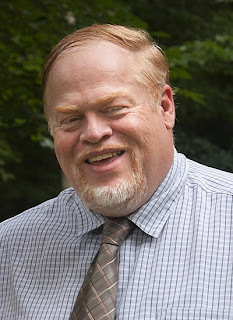 During, the NAC forum held Tuesday for The City of Frederick candidates, I asked Democratic Maryland state delegate Galen Clagett about the $30,000 he had received in contributions via real estate developers Marvin Ausherman ($20,000) and Pleasants Construction ($10,000) for his mayoral campaign. I pointed out to him I had noticed and previously reported on the same address used from different entities to his campaign for multiple donations listed on his first campaign finance report. I informed him Democratic city alderman Karen Young, who is also running for mayor, sent me an analysis prepared by her Treasurer Kathy Rossen pointing out the connection of the addresses to entities associated with Ausherman and Pleasants. Campaign contribution limits to mayoral candidates per entity in The City of Frederick election is $2,500 and none of the entities exceeded this figure. I shared with Galen, Karen Young had pointed out the total of $30,000, which equaled half of his reported contributions, had essentially come from two people associated with real estate development. I added this may be troublesome to voters. 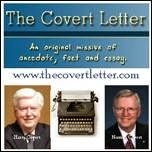 Clagett added Karen had also received money from Ausherman and I said yes, I had noticed a $500 contribution. In her Treasurer’s analysis of the Clagett campaign finance report, Karen said the Clagett campaign received 67.3% from Developers/Real Estate, 10.3% from political campaigns/PAC, 4.6% from Business, and 17.8% from Individuals. The Clagett campaign reported raising $60,425 and the Young campaign reported raising $49,351 in their first finance report. Clagett did not return repeated messages prior to publication. Galen Clagget, Karen Young and Carol Hirsch are the three Democratic candidates for mayor and the Republican candidates are incumbent Mayor Randy McClement, city alderman Shelley Aloi and former mayor Jeff Holtzinger. Jennifer Dougherty is running as an unaffiliated candidate and does not have a primary opponent. The primary election is September 10. Poll: 80% of Americans Want Congressional Approval on Syria - Nearly 80 percent of Americans believe President Barack Obama should receive congressional approval before using force in Syria, but the nation is divided over the scope of any potential strike, a new NBC News poll shows. The White House telephone briefing with top members of Congress left many wanting a lot more details on the mission, as Britain chooses not to strike. NBC's Andrea Mitchell reports. 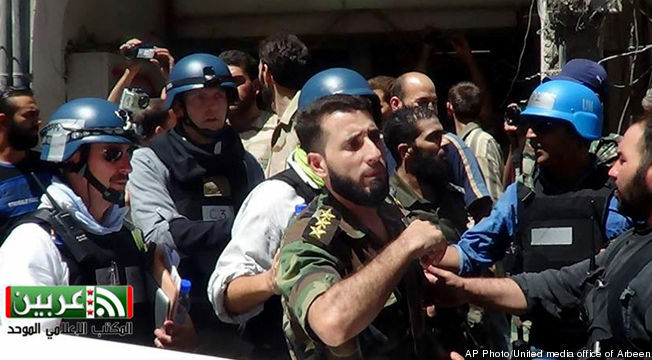 Fifty percent of Americans believe the United States should not intervene in the wake of suspected chemical weapons attacks by Syrian President Bashar Assad, according to the poll. But the public is more supportive of military action when it's limited to launching cruise missiles from U.S. naval ships - 50 percent favor that kind of intervention, while 44 percent oppose it. NBC News has more here. 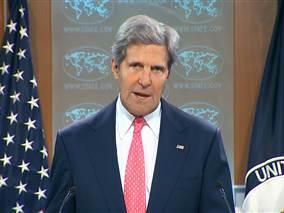 Will U.S. Act Alone Against Syria? - The administration insisted Thursday that President Obama has both the authority and the determination to make his own decision on a military strike against Syria, even as a growing chorus of lawmakers demanded an opportunity to vote on the issue and Britain, the United States’ closest ally, appeared unlikely to participate. Britain’s sudden withdrawal came after Prime Minister David Cameron, deserted by rebels in his own Conservative Party, lost a parliamentary vote for provisional authorization for military action in Syria. The Washington Post has more here. 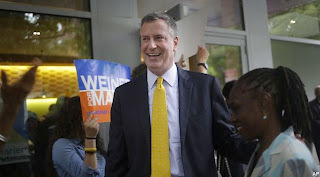 Bill de Blasio Leads Among Democratic Candidates for NYC Mayor - A New York Times/Siena College poll released Friday showed Public Advocate Bill de Blasio with a large lead in the Democratic primary of the New York City mayor's race. The poll found de Blasio in first place with 32 percent of likely Democratic voters compared to 18 percent for former Comptroller Bill Thompson and 17 percent for City Council Speaker Christine Quinn. About one in six voters remains undecided ahead of the September 10 primary. De Blasio was up 18 points from the last New York Times/Siena College poll, which was released August 9 and showed him in third place. His lead in the poll was slightly more modest than it was in a Quinnipiac poll released Wednesday that showed him with 36 percent of the vote, just shy of the 40 percent threshhold necessary to avoid a runoff with the second place finisher. Along with an amNewYork-News 12 poll released Thursday, this was the first poll to find Quinn in third behind de Blasio and Thompson. Apart from Anthony Weiner's brief time atop the polls in, Quinn had been leading the pack until de Blasio's numbers began surging earlier this month. The New York Times/Siena College poll also found Quinn with the highest unfavorability ratings of the three top candidates. TPM.com has more here. 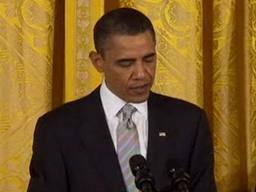 Obama Uses Executive Action on Gun Control - With no chance remaining for a legislative solution on gun control, President Barack Obama on Thursday targetted the issue for the first time in months with a pair of executive actions. The moves, along with the morning swearing-in of Todd Jones, the director of the Bureau of Alcohol, Tobacco, Firearms and Explosives, mark a fresh push to spotlight presidential efforts to fight gun violence in the face of congressional inaction. The ATF will now require background checks for all guns that will be registered to a corporation or a trust, the White House said. One Obama order, the White House said, will close a loophole that allowed felons and other people prohibited by federal law from purchasing a gun by registering it to a corporation or a trust. The White House said more than 39,000 requested to register a gun to a corporation or a trust last year. Obama’s second order will stop authorization that allows the re-importation of military-grade firearms that had been sold to allies or given as military assistance. The White House said the government has approved requests to re-import more than 250,000 military-grade firearms since 2005. Politico.com has more here. March on Washington, 50 Years Later - “The arc of the moral universe may bend toward justice, but it doesn’t bend on its own,” President Obama told the audience. “To secure the gains this country has made requires constant vigilance, not complacency.” Watch the President's speech here. Obama, 2 years old at the time of King’s speech in 1963, said the work would involve “challenging those who erect new barriers to the vote, or ensuring that the scales of justice work equally for all, and the criminal justice system is not simply a pipeline from underfunded schools to overcrowded jails.” The Washington Post has more here. Questions Remain on Chemical Attack in Syria - The intelligence linking Syrian President Bashar Assad or his inner circle to an alleged chemical weapons attack that killed at least 100 people is no “slam dunk,” with questions remaining about who actually controls some of Syria’s chemical weapons stores and doubts about whether Assad himself ordered the strike, U.S. intelligence officials say. A report by the Office of the Director for National Intelligence outlining that evidence against Syria is thick with caveats. 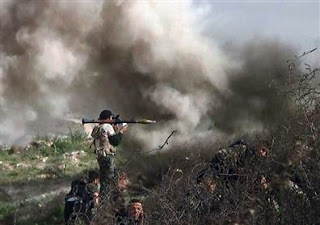 It builds a case that Assad’s forces are most likely responsible while outlining gaps in the U.S. intelligence picture. Relevant congressional committees were to be briefed on that evidence by teleconference call on Thursday, U.S. officials and congressional aides said. The complicated intelligence picture raises questions about the White House’s full-steam-ahead approach to the Aug. 21 attack on a rebel-held Damascus suburb, with worries that the attack could be tied to al-Qaida-backed rebels later. Administration officials said Wednesday that neither the U.N. Security Council, which is deciding whether to weigh in, or allies’ concerns would affect their plans. TPM.com has more here. Obama: No Decision on Military Action Against Syria - President Barack Obama said he had not yet made his decision regarding a U.S. strike on Syria during an interview with PBS NewsHour senior correspondents Judy Woodruff and Gwen Ifill. The president said that Syrian president Bashar al-Assad's regime alleged use of chemical weapons would factor into his calculation and he warned that the Assad should be held accountable. White House to Brief Congress on Syria - With the United States apparently on the verge of launching military strikes in Syria, senior administration officials will brief members of the congressional leadership, as well as the chairmen and top-ranking minority-party on national security committees, on the situation Thursday. Many members of Congress, even some who are inclined to support military action, have expressed a belief that the White House should consult with lawmakers — or even seek authorization — before using military force. Still others are miffed that only a handful of lawmakers are given information about possible acts of war by the United States. Politico.com has more here. Pakistan Overturns Sentence of Doctor Who Helped C.I.A. Find Bin Laden - A Pakistani judicial official on Thursday overturned the 33-year jail sentence passed on Shakil Afridi, the doctor who helped CIA agents hunting for al Qaeda leader Osama bin Laden who was killed in 2011. U.S. officials have hailed Afridi as a hero for helping pinpoint bin Laden's location before the secret May 2011 raid by U.S. special forces in Abbottabad, Pakistan, after more than a decade of searching. Judicial official Sahibzada Mohammad Anees ordered a new trial on the grounds that another official had exceeded his authority when handing down last year's sentence. Afridi remains in custody. "The assistant political agent ... did not have the authority to award 33 years' imprisonment to Dr. Shakil Afridi," said the written judgment. "The assistant political agent played the role of a magistrate for which he was not authorized." Reuters.com has more here. The City of Frederick primary election is September 10. So, plan to attend both nights to listen to the candidates. U.S. Military Action Against Syria Imminent - Missile strikes against Syria could be launched “as early as Thursday” senior U.S. officials said Tuesday as the White House intensified efforts toward an international response to the suspected use of chemical weapons. The “three days” of strikes would be limited in scope, and aimed at sending a message to the regime of Syria president Bashar Assad , U.S. officials told NBC News. 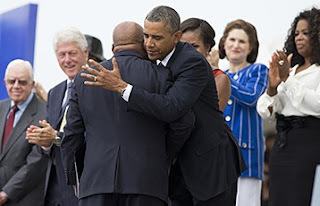 It followed another round of telephone diplomacy by President Barack Obama, who held discussions with Australian Prime Minister Kevin Rudd and French President Francois Hollande on Monday to lay the groundwork for potential military action. NBC News has more here. Sen. Barbara Boxer Calls For $10 Hour Minimum Wage - Sen. Barbara Boxer (D-CA) said Monday that the minimum wage should be raised to $10 per hour, citing the widening gulf between the wealthy and the working poor. "We need to raise the minimum wage," Boxer told MSNBC's Ed Schultz. "That will make a huge difference out there. People are struggling. The difference between the very wealthy and the working poor has grown. We raise that minimum wage and we move forward with the vision of this president that we have, which is everyone pays their fair share. We make investments where it matters. We're going to be...it's going to be a great century for us." When Schutlz asked her what she would raise the minimum wage to, the California Democrat said "about $10." "I think that would be right," she added. TPM.com has more here. Treasury: Nation Will Hit Debt Ceilng in Mid October - The Treasury Department told Congress on Monday it must raise the $16.7 trillion national debt limit by mid-October. Treasury Secretary Jack Lew in a letter to lawmakers said his department would exhaust the "extraordinary measures" it holds to keep the U.S. from breaching the limit at that time. "Congress should act as soon as possible to meet its responsibility to the nation and to remove the threat of default," he wrote. "Under any circumstance — in light of the schedule, the inherent viability of cash flows, and the dire consequences of miscalculation — Congress must act before the middle of October." TheHill.com has more here. Wildfire Expands in Yosemite National Park - A wildfire raging in the northwest part of Yosemite National Park was expected to advance farther into the park on Tuesday and continue to threaten a reservoir that supplies most of San Francisco's water. 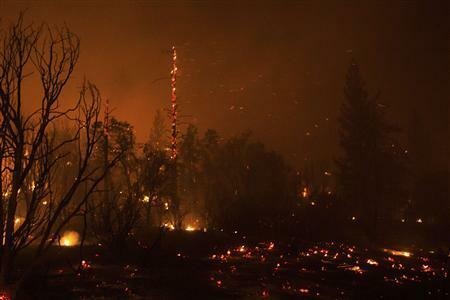 The so-called Rim Fire has charred more than 160,000 acres, which is larger than Chicago, most of that in the Stanislaus National Forest west of Yosemite. But the blaze was expected to move east overnight and push deeper into Yosemite, as well as in areas to the north, said U.S. Forest Service spokesman Trevor Augustino. Reuters.com has more here. 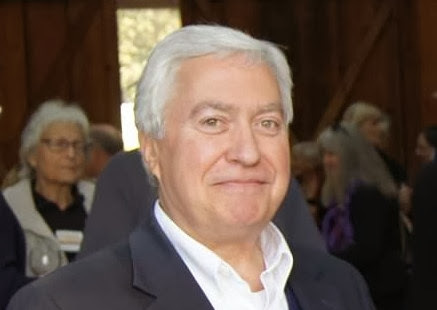 “His efforts”, Michael was referring to, were his hopes to help create a sustainable community, maintain strong fiscal stewardship of the city finances and to increase citizen engagement in the political process. Taken together, they will help in his overall goal of creating a safe, clean and well connected community. O’Connor was pleased the city was able to include in the budget, funding for a sustainability manager and was hopeful, once the person was hired, they would help establish procurement rules leading to purchasing sustainable products and more. He wants to see an increase in recycling and composting in the city and told me he did not support the county government plans to build an incinerator for the disposal of solid waste. Michael often spoke of his belief of governing from the bottom up as opposed from the top down and believed in including all city stakeholders in developing a vision for the city. He pointed out his support of the board of alderman recently passed resolution calling for a strategic plan. The adoption of the Golden Mile Small Area Plan and East Frederick Rising were two examples of what O’Connor would like to see more of throughout the city. Unfortunately, he told me the city planning staff was not sized to take on additional small area plan developments. So, he would either support an increase in staff or the hiring of a consultant. Michael said the interaction between police and public works with the NACs was very good, but that “it was time to raise the bar.” He would like to increase their input in the planning review process and to also have them help shape policy in regard to the allocation of services to neighborhoods. He pointed out that businesses were also part of communities and he would encourage them to become involved with the NACs. Overall, O’Connor wants to get more input from citizens in the development of a strategic plan and feels strongly residents should have a voice in city hall. In regard to fiscal stewardship, Michael reminded me the economy was horrible when they took office in 2009 and that they have managed to balance the budget during difficult times. In regard to the underfunded Pension and Other Post Employment Programs (OPEB), Michael told me he was satisfied with the actions they have taken so far. He did say he was frustrated the city has taken so long to see visible steps taken from the recommendations put forth by the Blighted and Vacant Property task force. Michael was hopeful the city would take the steps necessary to allow them to use receivership as a tool in combating neighborhood eyesores. There are eight Democratic and seven Republican candidates running for the five member board of aldermen. The City of Frederick primary election is September 10. It was an enjoyable one hour casual meeting with Maryland Comproller Peter Franchot (D) and his communications director Andrew Friedson. Franchot was on his way to the Washington County Democratic picnic and took time to share some thoughts over a beer at Brewers Alley in historic downtown Frederick. I asked what brought them to The City of Frederick and Friedson answered "Comptroller Franchot makes it a point to get out of Annapolis and travel all across the State of Maryland -- including frequent trips to Western Maryland -- to meet with the families and small businesses who are on the front lines of the Maryland economy and whose talent, ingenuity and sheer determination make the region, along with the entire state, such a great place to live, work and raise a family." Recognizing, the Board of Public Works had received my column published in The Frederick News Post, where I spoke in opposition to the Frederick county government proposed sale of the Citizens Care and Rehabilitation Center and Montevue Assisted Care facilities, I shared with him the thanks many in Frederick County have in their decision to table a vote on the sale. 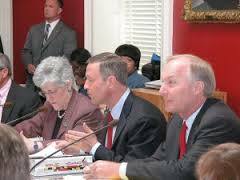 We spoke briefly about the state Board of Public Works meeting the day before where Governor Martin O’Malley and Treaurer Nancy Kopp joined Franchot to table a vote on the sale of the Citizens Care and Rehabilitation Center and Montevue Assisted Care facilities. When I asked what he thought of Frederick County Commissioner Blaine Young's assertion that the county would go through with the sale regardless of BPW's decision, Franchot said "that would be unwise for him to do so." When I followed up with a question asking him what did he mean by that, Andrew Friedson said "The Comptroller believes that proceeding with the sale while it remains the subject of active litigation would be highly premature and carry considerable risk. It would be far more prudent to allow the legal process to run its course before taking further action -- as the Board of Public Works did on Wednesday -- and he would encourage the Frederick County Board of Commissioners to do the same." During, our conversation, I asked Franchot about his decision to run for re-election as Comptroller, when it was widely known he also considered running for Governor in the 2014 state election. Franchot said "While the encouragement I received to run for governor was humbling, being Comptroller is the greatest thrill and most profound honor of my professional life. Some people go a lifetime and never find their dream job, but I already have mine. So I look forward to continuing to serve as an independent, fiscal watchdog for Maryland taxpayers and to help lead a candid conversation about the fiscal and economic challenges that still lie ahead." Franchot spoke enthusiastically in regard to his proposal to start schools after Labor Day, saying, in part "Starting schools after Labor Day isn't just necessary because of the$7.7 million in state and local tax revenue it would create for the priorities we care about, or the $74.3 million in direct economic activity it would generate in the midst of a sluggish recovery. It would mean jobs and supplemental income for so many people who desperately need it in Maryland, bringing nearly $4 million in additional wages to a state that's near the bottom in the country in private sector wage growth. And beyond the money or economic impact, it's ultimately about Maryland families -- particularly the folks who save up a little bit every paycheck just so they can spend a week to get away once a year with their family." With time running short and understanding he was due at a picnic, I thanked the Comptroller for stopping by to say hello. As he was leaving, Franchot made a point to share he is also pleased with the success of “Shop Maryland Tax-Free Week” which recently ended. The exemption of the six percent sales tax helps at a time when many working families are purchasing back to school items for their children. The Maryland state and Frederick County elections will be held in 2014. In his weekly address, Obama touted his administration's efforts to reduce costs for a college education, unveiled earlier this week where colleges and universities would be subject to a national affordability rating system. As part of the plan, Obama will press Congress to tie federal financial aid grants to a school’s rankings to encourage students to attend high-performing colleges. Indiana Governor Mike Pence (R) gave the weekly Republican address and promoted the "Healthy Indiana Plan" healthcare program as a conservative alternative to President Obama's signature healthcare law, arguing it empowers patients over the government. Kelly shared with me she felt public service was the highest honor and she received the highest satisfaction from it. She wants to continue to be in a position to help the city move forward. We discussed her accomplishments during her first term in office throughout most of the interview and Kelly spoke enthusiastically about her support of “Rails and Trails” in the city. The design of the pedestrian and bicycle shared use pathway was aided with the help of a Council of Governments grant and when completed, will connect the east and west sides of the city. She was proud of her efforts to have $1.5 million included in the city capital improvement budget this year to complete this project. 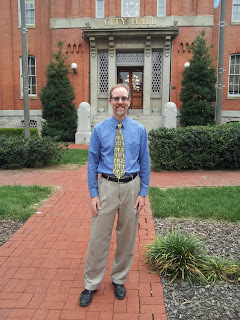 Working with an ad-hoc bicycle and pedestrian committee, (now a permanent advisory committee), Russell supported the creation of a loop that a bicyclist can use to visit 22 downtown Frederick historic sites that begins and ends at Tourism. Alderman Russell also was pleased during her early months in office, the board moved to address resident concerns and safety issues by passing an oversized vehicle ordinance that regulated the size of vehicles parked on residential streets. Kelly added she also brought forward legislation, during her first 11/2 years in office, that passed with a 5-0 vote, to include “sexual preference” as a protected class in the housing ordinance. She spoke excitedly about her time on the city planning commission and her efforts to work with the historic preservation staff to establish a “demolition delay” on structures 50 years or older. Kelly was especially pleased with her efforts to assist in successfully protecting the “hillside view” of the former Prospect Hall property by making the developers move an apartment building that would have obstructed the picturesque view. Another law and resolution Russell noted she brought forward, addressed concerns of many residents by banning the sale and possession of synthetic marijuana (Bath Salts). Before moving to a couple of questions left on my Facebook page for her, I asked her about how communication was going between the mayor and aldermen. I reminded her she had complained to me about the lack of communication by Mayor Randy McClement (R) during her first year in office. Kelly said she had promoted the establishment of monthly meetings between members of the board of alderman and the mayor, and as a result, communication had improved for her. She added she had found a comfort zone to get things accomplished and she doesn’t let frustration with communication impede moving forward and getting things done for the city. Devan Markel Naylor asked alderman Russell on my Facebook page if she would be willing to bring back bulk trash pick-up? Kelly said she would like it to come back with a new name “free cycle round-up” where the city would partner with nonprofits with a recycle truck also available. The “free cycle round-up” was piloted using the parking lot at Harry Grove Stadium on a Saturday. Debra Santeufemio was concerned there was too much littering in the city and wondered if the city would consider a neighborhood clean up day. Russell pointed out Downtown Frederick Partnership promotes “bring a broom” Saturdays and suggested Debra contact her Neighborhood Advisory Committee (NAC) and perhaps they could coordinate a neighborhood clean up day. Kelly Russell is one of eight Democratic and seven Republican candidates running for the five member board of alderman. On Wednesday, with a 3-0 vote, the Maryland state Board of Public Works voted to delay the sale by Frederick County government of the Citizens Care and Rehabilitation Center and Montevue Assisted Care facilities. Maryland Comptroller communications director Andrew Friedson shared with me "Comptroller Franchot has consistently raised concerns with the Board of Public Works voting on contracts that are the subject of active litigation. In the interest of due process, he moved to table a vote on the sale of Citizens Care and Rehabilitation Center and was pleased to have the unanimous support of the governor and treasurer." Interestingly, Republican Frederick Board of County Commissioners president Blaine Young went with a check for $200,000 to reimburse the state for a loan used, in part, for the construction of the brand new facilities. The loan repayment was not included in the original contract of sale. An online poll by The Frederick News Post today currently shows 75% believe Frederick County should delay the sale of Citizens/Montevue. 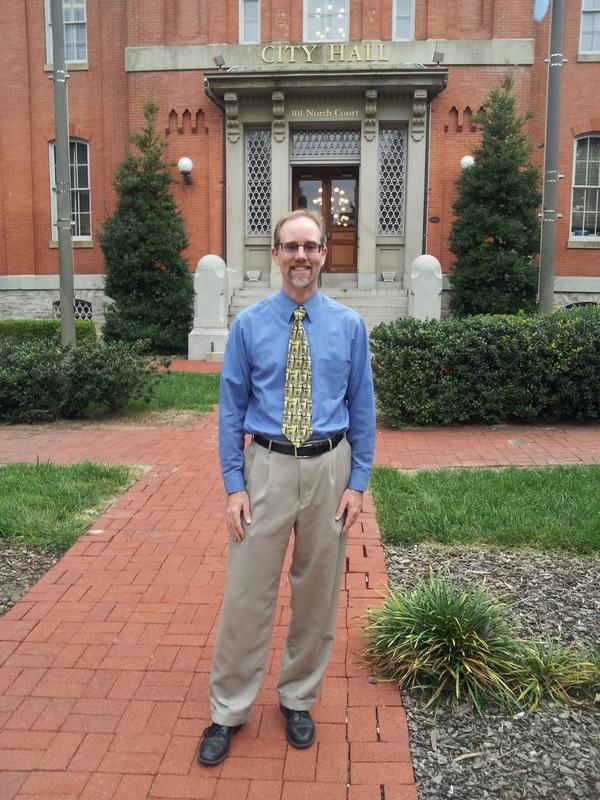 Jack Lynch, who is a Democratic candidate for alderman in The City of Frederick election, is passionate about wanting to see more citizen involvement in the planning process. He is concerned the city is on the cusp of growing out in a way that will destroy the identity of Frederick. Lynch would like to engage residents in planning as he believes everything revolves around planning. He would like to see the city use form-based zoning and codes that are focused on the form of buildings rather than land use. He told me "It's not what uses or regulations determine our buildings, it's about whether it looks and feels good to people, if they want to walk around there and like it." Jack added he sees the Carroll Creek development as being a destructive swath of concrete through historic downtown. He feels it has not returned a high enough return for the taxpayer money spent developing the site. Lynch is also troubled private investment money is going to the north end of Frederick and not other parts of the city and does not see an overall plan for how the city will grow. He believes citizens often wait until a public notice is posted before they state their opinion and feels it is often too late at this point. Strengthening Neighborhood Advisory Councils (NACs) and allowing them to provide even more input into the planning process, is something Jack will support if elected alderman. Bringing citizens together, perhaps by developing small area plans from all sections across the city to provide a vision of what the city could do, is something he would encourage. He was especially concerned when he felt residents were not listened to in recent votes by the city board of aldermen when they approved a change in zoning for a proposed Wal-Mart and voted to annex the 97 acre Caidlyn property into the city. Mr. Lynch testified against both requests and was disappointed the golden mile small area plan and comprehensive plan were not followed. Also, receiving thumbs down from Lynch is the proposed downtown hotel/conference center. He said the recent consultant report confirmed what he had been saying all along and that is "the economics did not work." Another area Jack would like the city to focus on is building a more sustainable community and to develop a green infrastructure plan. He would like to see N. Market Street become an example of green infrastructure where the curbs, sidewalks, etc. were reengineered and rebuilt to allow more water to be absorbed naturally. Extending Baker Park eastward to be included in the East Frederick Rising plans is another way the city should move forward. When the topic of waste disposal came up, Lynch said he would like to see the city require business recycling and for the city to provide weekly recycling pick up. He also would move to reinstate the city bulk trash pick-ups that were discontinued by the current mayor and board. Furthermore, Jack would like to see the city opt-out of Frederick County government plans to build an incinerator. Jack Lynch is one of eight Democratic and seven Republican candidates running for the five member city board of aldermen. The primary election will be held on September 10. Egypt Arrests Spiritual Leader of Muslim Brotherhood - Security forces arrested the spiritual leader of the Muslim Brotherhood on Monday night, in an escalating showdown with the influential Islamist movement that has led to the ouster of Egypt’s first democratically elected president and some of the bloodiest urban violence in its modern history. Mohammed Badie, a white-bearded professor, was shown on state television being whisked away to prison in a car, sitting next to a security officer in a bulletproof vest. His arrest, as well as those of other Muslim Brotherhood leaders, had been ordered after last month’s coup. 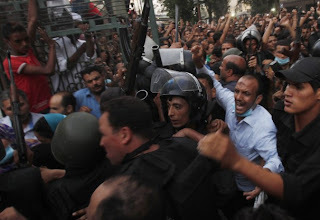 Badie’s detention was the latest in a rapidly unfolding series of events that seemed certain to outrage beleaguered Brotherhood supporters and intensify the crisis in the Arab world’s most populous nation. Earlier Monday, an Egyptian court granted bond to the country’s former autocratic ruler, Hosni Mubarak, raising the prospect that he could be released from jail within days. The Washington Post has more here. 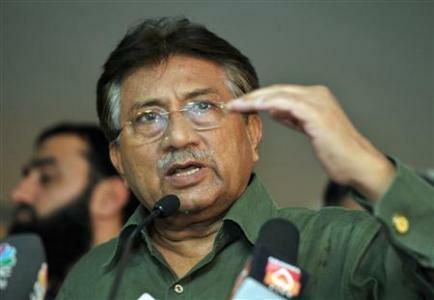 Musharraf Charged with Murder of Bhutto - A court in Pakistan charged former military dictator Pervez Musharraf on Tuesday with the 2007 murder of Benazir Bhutto in an unprecedented move likely to anger the all-powerful army. The indictment of the army chief who seized power in a 1999 coup - once Pakistan's most powerful man - was almost an unthinkable event in a nuclear-armed country ruled by the military for half of its 66-year history. Bhutto, a former prime minister, died in a suicide gun and bomb attack in December 2007 after a campaign rally in the city of Rawalpindi, not far from the heavily guarded court room where the charges were read out on Tuesday. Reuters.com has more here. Report shows Senate Immigration bill would add 14,000 jobs per Congressional district - A new report released Tuesday indicates that the immigration reform bill that passed the Senate but faces an uphill climb in the House could generate an average of nearly 14,000 new jobs in each congressional district over the course of the next 10 years, Fusion reported. 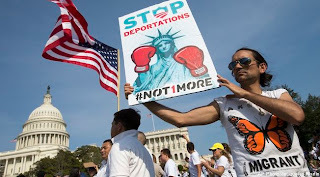 The report was released by American Action Network (AAN), a conservative advocacy group pushing for immigration reform. Using figures from a Regional Economic Models, Inc. (REMI) study of economic data and new worker visas and a report from the Congressional Budget Office on the Senate immigration bill, the study found that no fewer than 7,000 jobs would be created in each district by 2023. An average of 13,992 new jobs would be created in each district, according to the report. TPM.com has more here. Obama Wants Dodd-Frank Bill Implemented - President Obama urged the nation’s top financial regulators on Monday to move faster on new rules for Wall Street, telling them in a private White House meeting that they must work to prevent a repeat of the 2008 financial crisis. Aides said Mr. Obama also told the regulators that the United States needed a more simplified and certain system of financing housing. The president recently endorsed proposals to reduce the government’s role in providing mortgages. Administration officials and some lawmakers have expressed frustration that critical parts of Mr. Obama’s overhaul of the financial system, which was voted into law three years ago and is known as the Dodd-Frank act, remain unenforced as an alphabet soup of federal agencies wrangle over how to adopt it. The NY Times has more here. 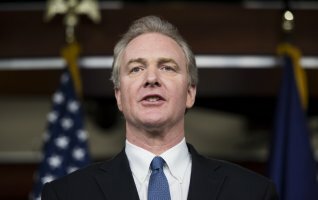 Van Hollen Hopeful of Budget Deal, Debt Ceiling Increase - Two rules that have guided Speaker John A. Boehner’s leadership of the House could go by the wayside this fall when Congress takes up a debt ceiling increase, Rep. Chris Van Hollen predicted Monday. 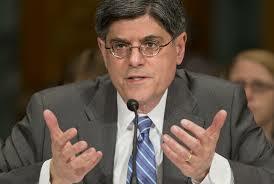 “It gave birth to the sequester,” he added. And the “Hastert rule,” calling for majority of the majority support for legislation, could be broken as well. Van Hollen signaled that it had to be “selectively applied,” and he suggested that he didn’t see a scenario wherein Republicans would be able to pass a legitimate debt ceiling increase bill without significant Democratic support. RollCall.com has more here. Obama Meeting with Financial Regulators Today - President Barack Obama on Monday is scheduled to host a meeting with "the lead financial regulators," the White House said. According to the White House, participants in the meeting will include the Comptroller of the Currency, the Director of the Consumer Financial Protection Bureau (CFPB), the Acting Director of the Federal Housing Finance Agency (FHFA), as well as the heads of the the Board of Governors of the Federal Reserve System (FRB), the Commodity Futures Trading Commission (CFTC), the Federal Deposit Insurance Corporation (FDIC), the National Credit Union Administration and the Securities and Exchange Commission (SEC). Obama will use discuss the Dodd-Frank financial reform bill with the regulators, the White House said. The meeting is slated to be held at 2:15 p.m. ET. TPM.com has more here. Mubarak May Be Freed This Week - Hosni Mubarak, the former Egyptian president overthrown in an uprising in 2011, will be released from jail in the next 48 hours after a prosecutor cleared him in a corruption case, his lawyer Fareed El-Deeb told Reuters on Monday. 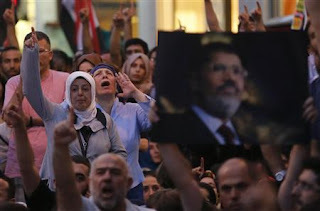 He was speaking after judicial authorities ordered Mubarak released in one of the remaining corruption cases against him. The only legal grounds for Mubarak's continued detention rest on another corruption case which will be cleared up later this week, Deeb said. "All we have left is a simple administrative procedure that should take no more than 48 hours. 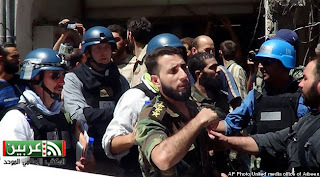 He should be freed by the end of the week," Deeb said. 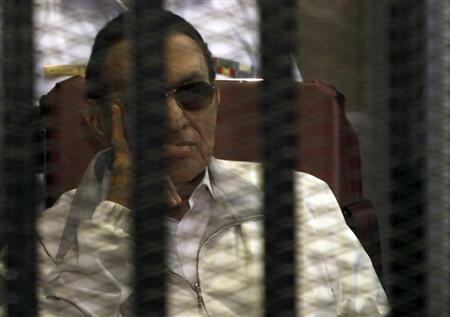 Mubarak, 85, still faces a retrial on charges of complicity in the murder of protesters during the 2011 revolt. Reuters.com has more here. 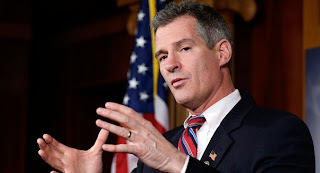 Brown Visits Iowa State Fair, Hints at 2016 Run - Former Sen. Scott Brown is considering a run for president in 2016, he told a Massachusetts paper Sunday while at the Iowa State Fair. “I want to get an indication of whether there’s even an interest, in Massachusetts and throughout the country, if there’s room for a bipartisan problem solver,” Brown told the Boston Herald from the early-caucus state. “It’s 2013, I think it’s premature, but I am curious. There’s a lot of good name recognition in the Dakotas and here – that’s pretty good.” Politico.com has more here. President Obama on Saturday admonished Republicans who have threatened to shut down the government if the next federal budget does not strip funding for the president's signature healthcare law, saying in his weekly address that "health insurance isn't something to play politics with." "Your health insurance isn’t something to play politics with," he added. "Our economy isn’t something to play politics with. This isn’t a game. This is about the economic security of millions of families." 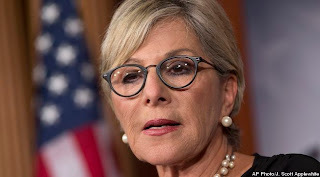 With concerns of a government shutdown looming over the implementation of the Affordable Healthcare Act, Rep. Shelley Moore Capito (R-W.Va.) called on Obama and Democrats in the Senate to further delay instating the law, saying that it would be irresponsible to move forward. “It’s time for your Senate to pass, and for you to sign, the House’s bipartisan delay of the individual mandate,” said Capito in the GOP weekly address. Audit Finds NSA Broke Privavcy Rules Thousands of Times Per Year - The National Security Agency has broken privacy rules or overstepped its legal authority thousands of times each year since Congress granted the agency broad new powers in 2008, according to an internal audit and other top-secret documents. 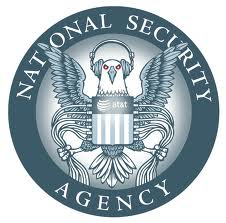 In a statement in response to questions for this article, the NSA said it attempts to identify problems “at the earliest possible moment, implement mitigation measures wherever possible, and drive the numbers down.” The government was made aware of The Post’s intention to publish the documents that accompany this article online. The Washington Post has more here. Military Deployed in Cairo - The Egyptian military deployed around vital installations in Cairo, state media reported, before "Friday of Anger" protests called by backers of deposed President Mohamed Mursi. Hundreds of people died and thousands were wounded on Wednesday when police cleared out two protest camps in Cairo set up to denounce the military's overthrow of Egypt's first freely elected president on July 3 and to demand his reinstatement. The Health Ministry puts the death toll at 578. The Brotherhood says the government is hiding a much bigger number. 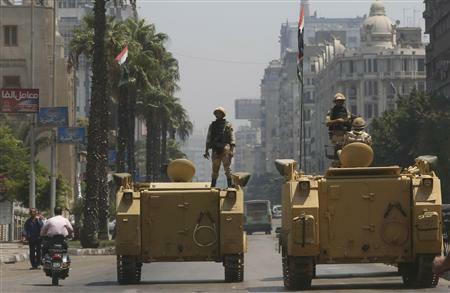 Dozens of armored vehicles will close off streets around part of northeastern Cairo where Islamists had staged protests demanding Mursi's reinstatement, the state news agency said. Reuters.com has more here. CBC Pushes To Restore Voter Protections - A Congressional Black Caucus task force led by Reps. G.K. Butterfield and Bobby Scott is pushing to restore voter protections. Members of the Congressional Black Caucus (CBC) have finalized their voting rights wish list in hopes of rebuilding protections that were struck down by the Supreme Court this year. 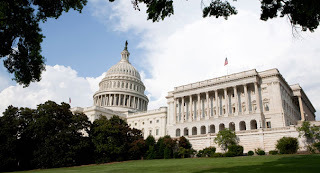 Prominent members of the group have delivered their recommendations to House Democratic leaders, who in turn are spearheading the push to write legislation that would replace the system overturned by the high court in June. The court ruled that a decades-old formula dictating which states must be subject to federal oversight under the Voting Rights Act was outdated, and therefore unconstitutional. TheHill.com has more here. Quinn and de Blasio Tied in NY City Mayoral Race - The campaign to replace outgoing New York City Mayor Michael Bloomberg is getting increasingly competitive on the Democratic side, as a new poll shows City Council Speaker Christine Quinn and Public Advocate Bill de Blasio neck-and-neck, with former Comptroller Bill Thompson not far behind. Former Rep. Anthony Weiner is a distant fourth in the NBC 4/Wall Street Journal/Marist poll released Thursday. Among likely Democratic primary voters, Quinn and de Blasio were tied at 24 percent, and Thompson got 18 percent. Weiner was at 11 percent, less than the 12 percent of likely voters who remain undecided. Politico.com has more here. U.S. Condemns Killing of Egypt Protesters, Turkey Calls for U.N. Action - The United States on Wednesday condemned a bloody government crackdown on protesters in Egypt that killed at least 149 people and Turkey urged the U.N. Security Council and Arab League to act quickly to stop a "massacre". Iran warned of the risk of civil war after Egyptian security forces moved in on protesters seeking the reinstatement of toppled Islamist President Mohamed Mursi. European leaders criticized the assault on a camp of pro-Mursi protesters in Cairo, calling for restraint and a return to meaningful dialogue to defuse Egypt's political stand-off. Reuters.com has more here. Jesse Jackson Jr. 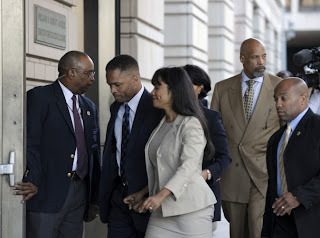 Sentenced To 30 Months in Jail - As a packed D.C. courtroom cleared Wednesday, the Rev. Jesse L. Jackson, the legendary civil rights leader, held his namesake son in a long embrace. The extended Jackson family had shown up, sisters and brothers and other relatives, taking over the first three rows of the marble federal courtroom. 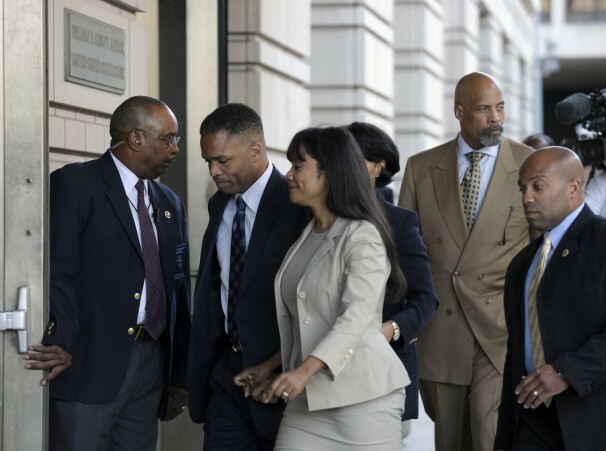 Moments earlier, Jesse L. Jackson Jr., a once-promising Illinois congressman, had been sentenced to prison for stealing hundreds of thousands of dollars in campaign money to fund an extravagant lifestyle. Jackson, 48, was sentenced to 2 1/2 years and his wife, Sandra Stevens Jackson, 49, to a term of 12 months. The couple pleaded guilty in February to using about $750,000 in campaign funds to pay for items from the pedestrian to the luxurious: car repairs and trips to Costco, in addition to fur wraps and a gold-plated Rolex watch. The Washington Post has more here. Organizing for Action Touts Health Care Law Benefits - The new ad from Organizing for Action (OFA), titled “Every Day” features a North Carolina family discussing the insurance rebate they received under the healthcare law. The parents Rebecca and Russell worried about how to pay for their son’s medical care in the face of rising premiums. “When the Affordable Care Act was passed we ended up getting a $350 rebate from our insurance company and then his premiums were going to go down by $60 a month,” says Rebecca in the ad. “ObamaCare is helping everyday families every day,” reads onscreen text. “It’s nice to see somebody looking out for the little guy,” says the father Russell. “The law works,” Rebecca adds. TheHill.com has more here. Obama's Economic Approval Slips To 35% - Despite President Barack Obama's renewed focus on the nation's economy this summer, crisscrossing the country to talk about job creation, he scores worse with Americans on the economy than he did in June. His approval rating on the issue, now 35%, is down seven percentage points, and his ratings on taxes and the federal budget deficit are each down five points. 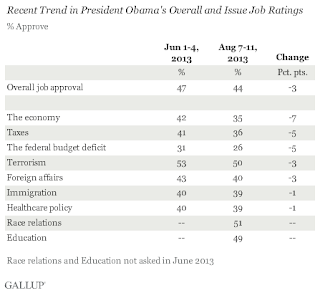 During the same period, his overall approval rating is down three points. In fact, out of seven issues for which Obama's job performance was rated in the new poll and in June, only the three economy-related ones fell significantly. 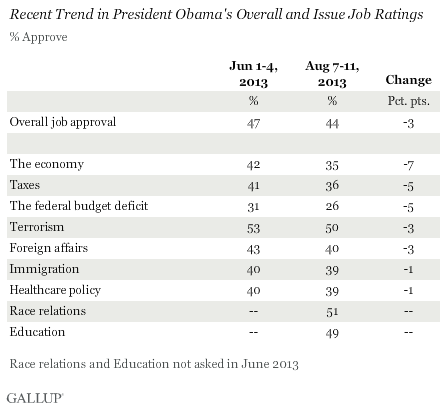 These are also his lowest issue approval ratings of the nine total issues measured this month. Notably, these declines somewhat parallel the slide Gallup has seen in Americans' economic confidence over the same period, although confidence picked up slightly this past week. Should City Provide Funding for a Downtown Hotel?